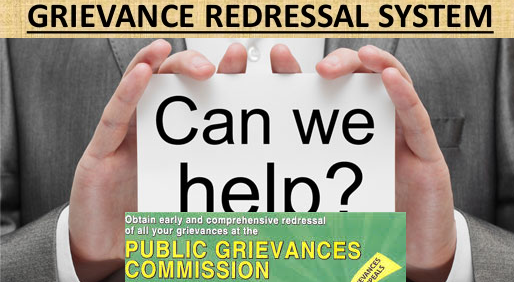 Under the provisions of the Consumer Protection Act, 1986, there is a three–tier quasi-judicial mechanism in place for redressal of consumer grievances. These are District Fora at the districts, State Consumer Disputes Redressal Commission in States and the National Consumer Disputes Redressal Commission at the Centre. The National Consumer Disputes Redressal Commission holds circuit bench sitting from time to time at different state capitals to expedite the process of adjudication. As an alternative means of redressal, consumers can also lodge complaints with the National Consumer Helplines (NCH). There are around 250 companies which have partnered with NCH for redressal of consumer grievances. Complaints received against these companies are referred to them for redressal. In terms of the BIS Act, 1986, the Bureau of Indian Standards has been established for the harmonious development of the activities of standardisation, and marking and quality certification of goods etc. The Bureau has powers to grant, renew, suspend or cancel a licence for use of the standard mark and inter alia, make inspections and collect samples to see conformity with the Indian standard as also whether the standard mark has been improperly used. The Department has introduced Consumer Protection Bill, 2015 in the Lok Sabha in August, 2015, which contains a number of provisions for strengthening the consumer grievance redressal mechanism. A new BIS Act, 2016 has also been notified.